CLASSIFICATION : Marche Rosso I.G.T. VINIFICATION PROCESS : Hand picking into shallow boxes, light crushing-destemming, then fermentation in steel at 28°C. Frequent pumpovers at initial stages were followed by délestages to cool must; after a maceration on the skins of about 20 days, the wine was pressed off into oak barriques no older than three years. After maturation for about six months, the two wines were blended and given an additional six-month stay in oak, bottling, followed by six months’ bottle-ageing. The wine was released about two years after harvest. SENSORY PROFILE : The name of the wine echoes that of our Camertina valley and brings back the venerable and little-remembered red wine tradition in the Matelica area, dating back to the early 1900s. 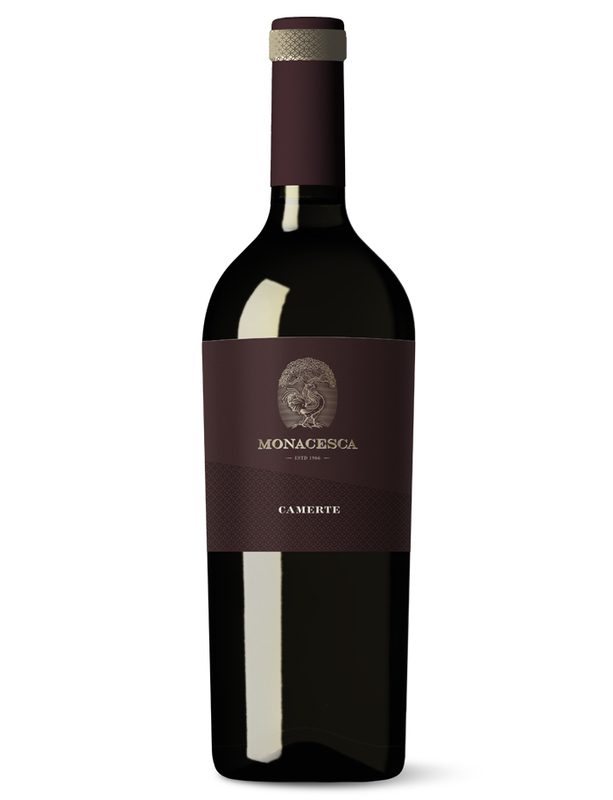 It marries the elegance and suppleness of the sangiovese to the depth and power that merlot achieves in this terroir. The result is a judicious blend of structure and grace, with just a grace note of oak, producing an appealing, easydrinking wine. It is a deep, saturated ruby, and the nose offers rich blackberry and cherry fruit, deepened and enriched by the oak in which it was matured.